We’re off to the snowy mountains and fjords of Norway, where kindly Mother Goose runs a home for sick geese and hasn’t got two kroner to rub together. She’s in arrears with her rent and constantly on the lookout for her landlord, Baron Von Rumpensmakka and his sidekick, Gonk. Thanks to a spell cast by Aurora, the good fairy of the north, Heidi – Mother Goose’s pet goose – starts to lay golden eggs, providing more riches than she ever could imagine. Enter Smorg the Troll to show that all is not well in this winter wonderland. He thinks all humans are horrible, and sets out to prove that Mother Goose is greedy, shallow and vain. Is he right? Will vanity win over warm-heartedness? J.J. Henry, in his second year as the Chippy dame, is terrific as Mother Goose, managing to convey hapless warmth and insecurity with great comedic touches. The entire cast seem to be enjoying themselves immensely, including the excellent Pippins, who appear to great effect. 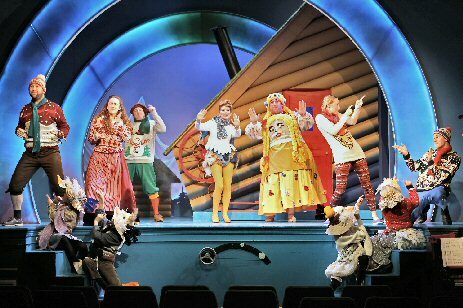 An extended set piece involving an epic journey to Magic Mountain in search of stolen Heidi extends out into the auditorium, and the result is a riot. Let’s just say that the weather in the mountains isn’t the best at this time of year, and the geese there really do get very big. This is a traditional panto with a moral for modern times: love and loyalty bring more happiness than fortune and beauty. 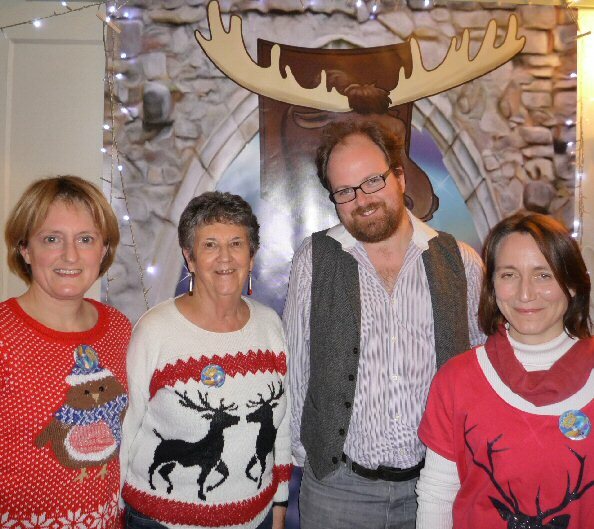 Panto at its best – go wearing your winter woollies and enjoy. Some tickets are still available. Call the Chippy Theatre box office on 642350. 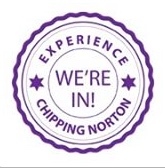 This entry was posted in review and tagged Chipping Norton, Chipping Norton Theatre, Mother Goose, panto, pantomime. Bookmark the permalink.